There’s been a lot of hype about Democrats turning Texas blue. 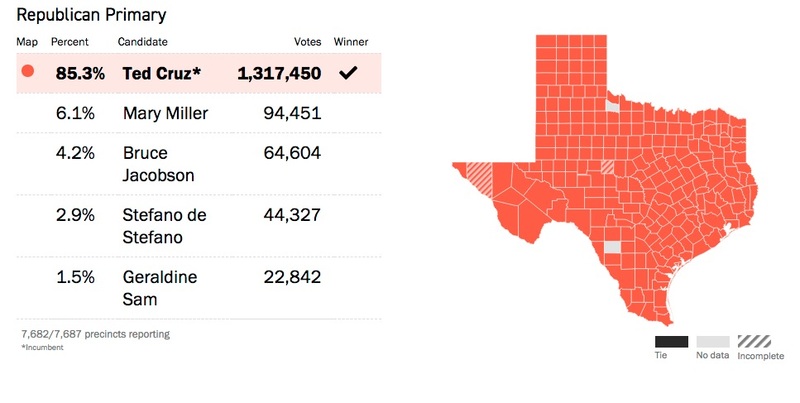 Well, on Texas’ March 6 Primary Election, that didn’t happen. 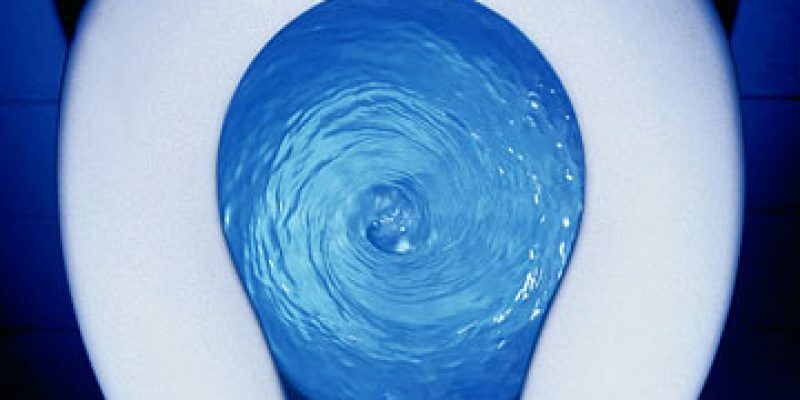 The blue wave is more accurately described as a blue flush down the toilet. More than double the number of Republicans voted for Ted Cruz for Senate than Democrats did for his opponent, Beto O’Rourke. Cruz received more than 1.3 million votes, reflecting 85 percent support. 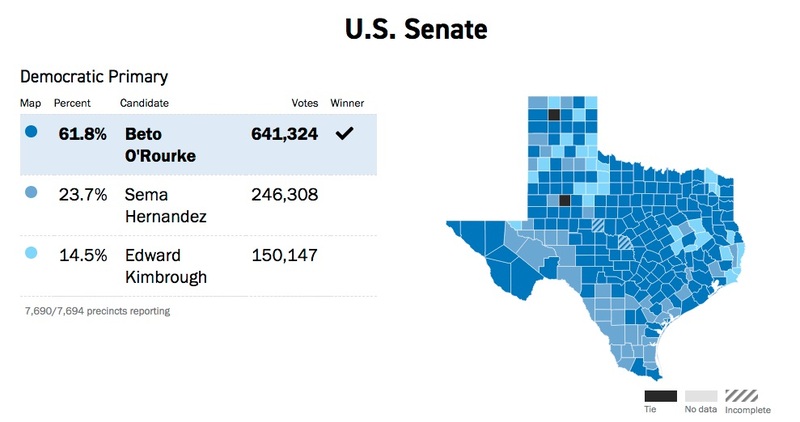 O’Rourke had 641,324 votes with 61 percent support. When it comes to other races, Republicans outvoted Democrats throughout the state– and this was only the primary. … it seemed like the Democrats might be on track to hustle more people to the polls. Election night returns told a different story. According to data provided by the Secretary of State, this phenomenon is nothing new. 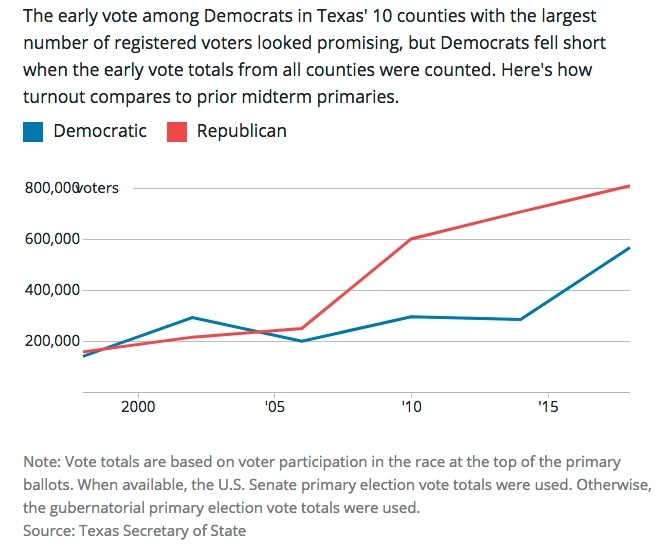 Republicans have been outvoting Democrats in Texas for years. Republicans still have more people turning out to vote than Democrats– and held a 500,000-vote advantage over Democrats after all of the votes were tallied. The blue wave is going down the drain. The only question is how many candidates will go down with it.